With entry-level costs at £5,000 per piece, our customers demand the best and like us, appreciate that wood is a wonderful, natural material. It is malleable, yet hard-wearing and of course, breathtakingly beautiful. Many believe that the use of wood evokes natural feelings of warmth and comfort within a home. Wood is good for your soul. Here at Earthy Timber, we only source and select the very best wood. We work with interesting, characteristic pieces that when vacuum kiln-dried, preserved and finished to perfection will draw the eye and compel you to touch them. As a naturally grown substance, wooden slabs need a high degree of care and attention. 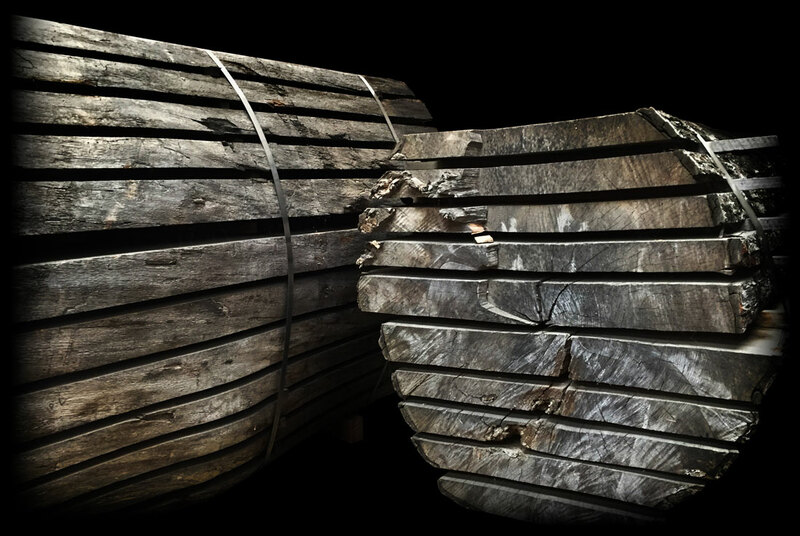 Unless timber slabs are kiln dried to below 10% of its moisture content, they will warp and move uncontrollably. Regrettably, most of the slabs available in timber yards are not processed in such a painstaking, meticulous way. We have observed that most economy-driven pieces on the market are highly likely to twist, move or warp. Most noteworthy, these issues may not become apparent for several weeks. When the guarantee expires, there is little if anything that you will be able to do. The quality and excellence of our products repays your investment with us in beautiful hard-wearing, work or art wooden surfaces. These pieces will last for generations to come. You can place your trust in Earthy Timber to deliver products of the highest standards. Artistic wooden surfaces, expertly dried that feel wonderful to the touch and that will delight your soul every single day. 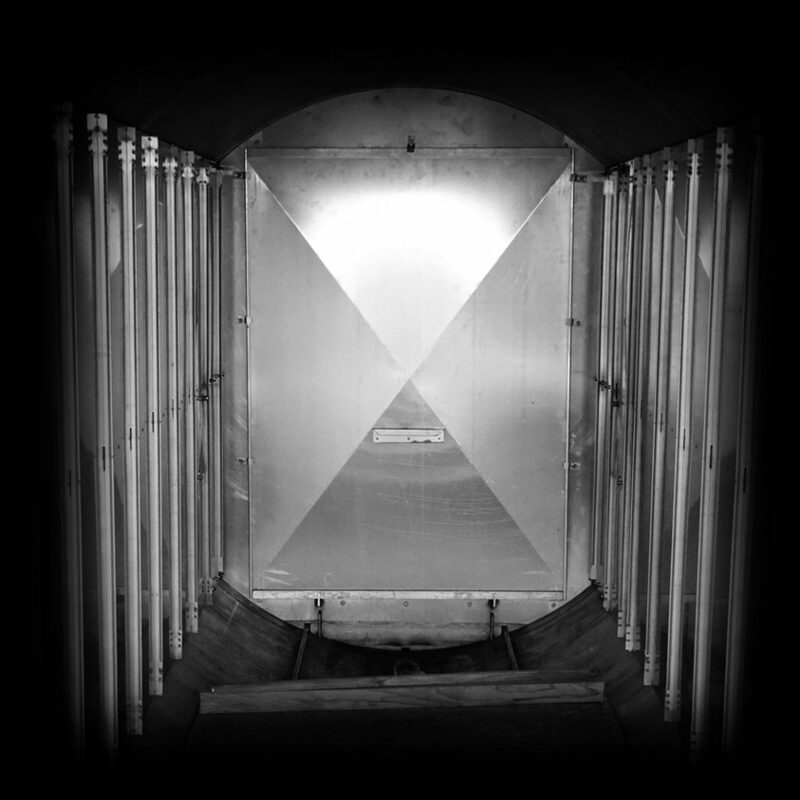 Every piece of timber is vacuum kiln-dried in our on-site chamber. We are the only designer and manufacturer of wooden surfaces in the UK to offer this full tree to the finished article service. You can trust with absolute certainty that the process of turning a “raw” piece of timber into your dining table, desk, breakfast bar or kitchen surface is being managed every step of the way with the expertise, care and attention that it deserves. Vacuum Kiln Drying. How Does It Work? Operating our on-site vacuum kiln drying chamber requires an extremely high degree of skill and expertise in the technical properties of wood. Our technicians create separate programmes for specific pieces of timber, each reflecting the species, width, thickness, length density as well as the current moisture content of the wood before it is placed into the chamber. They must also factor in how long the timber has been air dried. This highly customised process needs close management at all times, as important, ad hoc adjustments may be required during drying. You make a significant investment with us, therefore what we offer will last well into the next generation and beyond. Vacuum kiln drying guarantees stability and maximises its strength and resilience. 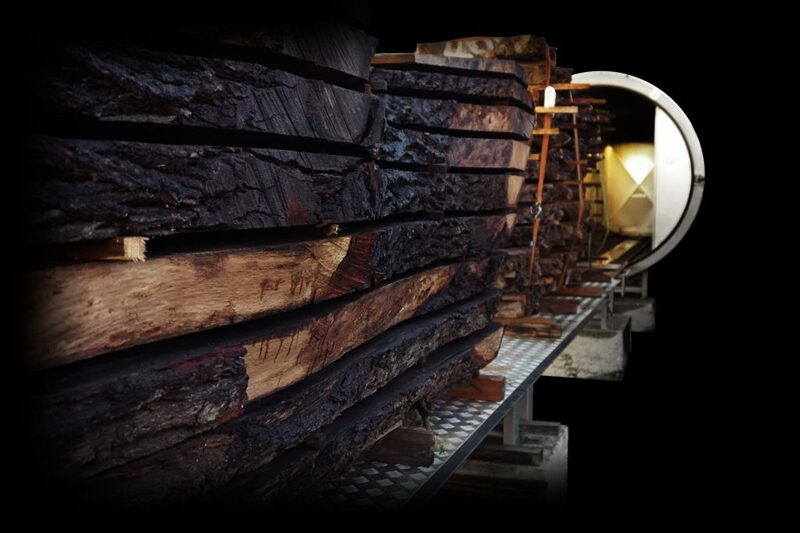 Vacuum kiln-dried wood also meets the exacting legal standards for all internal wood uses and projects. Moist wood is vulnerable to wood worm; this hazard can be eliminated through the vacuum kiln-drying procedure. Traditional air drying and kiln drying, although a cheaper process simply does not lay down the appropriate ground work for high-end, intricate surfaces to ensure stability. Our expertise in this process encompasses wood of any dimension or density, as well as timber with live or square edges. Our vacuum kiln-drying capabilities truly set our design workshop apart. Importantly, we want you to feel and to know that your investment with us is a sound one. Therefore, for each completed drying process we can, on request, issue a certificate to prove the moisture content of the wood both before and after its removal. This certificate will add value to your product. As a result, should you wish to sell your work of art dining table, desk, breakfast bar or kitchen worktop as part of a property sale, this will make it considerably more commercially attractive. We constantly strive to be the best in the marketplace. We’re extremely blessed to receive such wonderful feedback and reviews from our satisfied customers. Earthy Timber regularly explores new and improved ways of preserving the wonderful array of timber sourced from English woodlands through this highly skilled and unique process. We would be pleased to hear about your plans to enhance your home with one of our special pieces. Please use our contact form to send us the details of your project. We are looking forward to hearing from you.